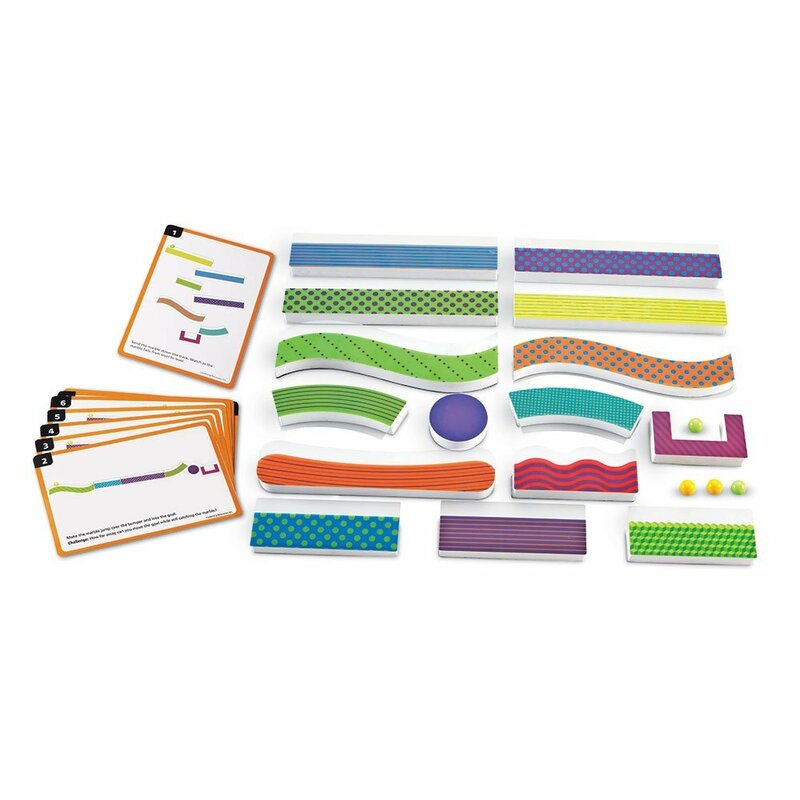 Get critical thinking skills rolling! 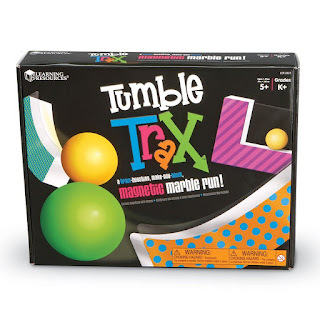 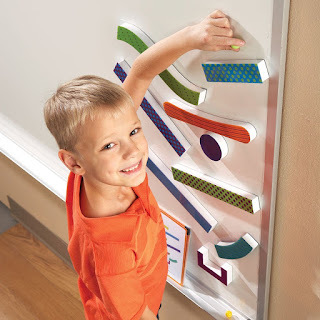 Create your own unique marble run with long, short, and curved magnetic pieces-then, drop the marble from the highest point to see your design come to life! 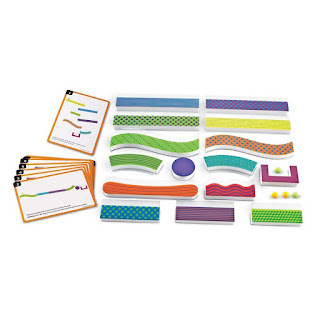 Take the challenge to the next level by building the designs pictured on the Activity Cards. 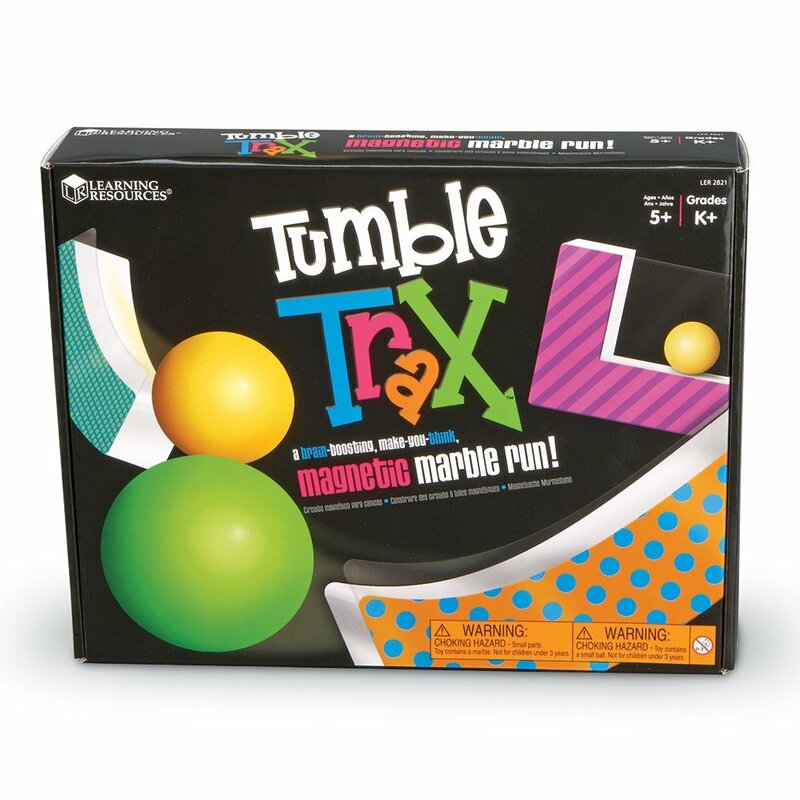 Can you make the marbles speed up, slow down, stop, or change direction by rearranging the pieces? 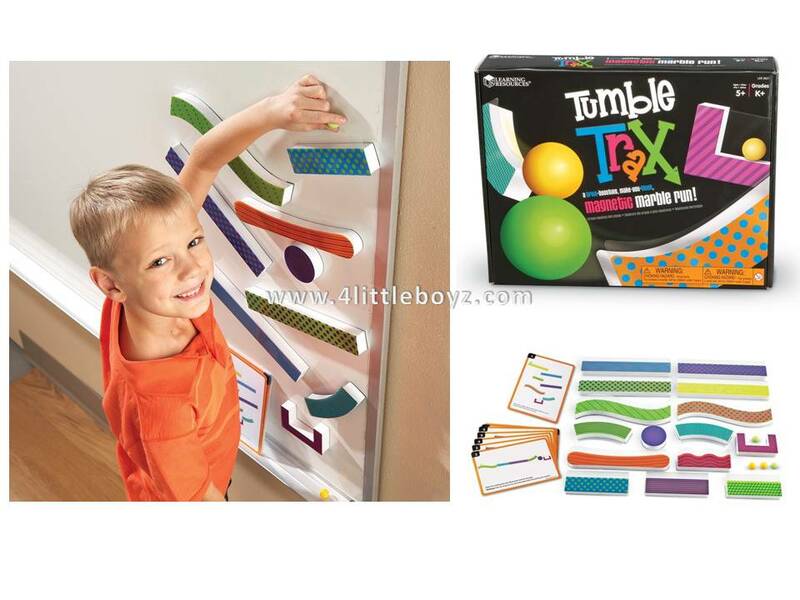 Engineering and problem solving have never been this fun! Endless combinations of designs provide multiple levels of learning.